The award-winning Avigilon Control Centre (ACC) software with High Definition Stream Management (HDSM) technology delivers full situation awareness and indisputable image detail, leading to faster response times, reduced investigation times, and superior overall protection. Plus, ACC is just as impressive on Apple or Android mobile devices with the ACC Mobile application—perfect for security personnel in the field. As a securely distributed network platform with enterprise-class reliability, Avigilon Control Centre (ACC) effectively captures, manages and stores high definition multi-megapixel surveillance video while efficiently managing bandwidth and storage. Avigilon Control Centre can be pre-installed and configured on an Avigilon Network Video Recorder (NVR) or work as stand-alone software. Avigilon Control Centre records and manages both audio and video from Avigilon’s broad range, the largest in the industry, of multi-megapixel IP cameras (from 1 to 29 megapixels). ACC can easily accommodate conventional and PTZ analogue cameras, as well as both audio and video from a broad range of third-party IP cameras and encoders from other manufacturers. 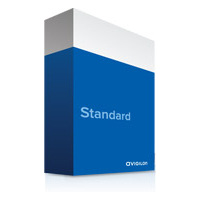 This gives you the ability to build a hybrid system that allows for a budget conscious migration from analogue to digital. ACC is powerful and intuitive, with an easy to use interface that allows personnel to evaluate and respond to events with minimal training. 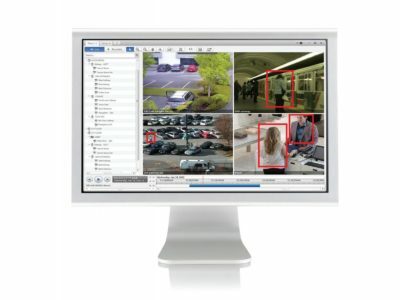 Analyse detailed regions from single or multiple cameras. Use viewing tabs to allow single operators to switch between multiple cameras located throughout large enterprise systems. Digitally zoom and pan within an image with a mouse or surveillance joystick. Automatic dynamic contrast enhancement reveals low-light details for unmatched digital PTZ performance. 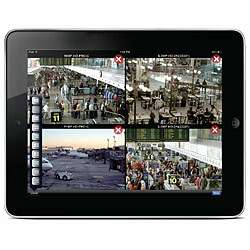 View live or recorded high-definition surveillance footage. Redundant recording to multiple NVRs allows a full live mirror of all high-defi nition video. Automatic fail-over NVRs ensure uninterrupted recording if an NVR becomes unavailable. Integrated backup and restore functionality allows recorded HD video from multiple cameras to be securely transferred from an NVR on a defined schedule. Allocate more storage capacity to recent events and taped archived surveillance footage for maximum record times with data aging. 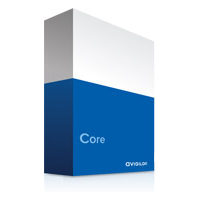 To create the best-matched system for your surveillance needs, the Avigilon Control Centre software is offered in three editions: Core, Standard and Enterprise. ACC Core is an entry-level version of our award-winning software that delivers advanced high-definition surveillance capabilities, ease of use, and superior image quality to small businesses. 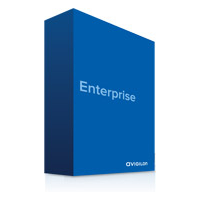 The Enterprise edition includes more advanced features for a sophisticated solution, whereas the Standard edition is used for more focused needs or for those looking to transition to HD surveillance in the most cost-effective way. No matter what the size of your business, you can customise a solution that is right for you. 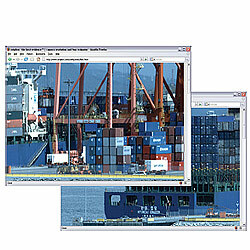 Advanced graphic-mapping interface lets operators layout cameras and servers on an imported map for easy navigation of large surveillance systems. Maps can be layered and nested, allowing easy navigation through satellite maps, multi-story buildings and very large areas. 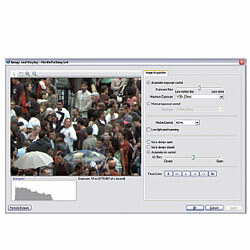 Advanced timeline interface with unique integrated drag-to-zoom capability allows full control over high-definition surveillance video playback, in forward and reverse, at variable speeds up to 8 times faster than real time. Rapidly updating playback system allows intuitive jog or shuttle playback to identify key events and subtle changes. Fine-tune camera bandwidth usage to optimize image quality and network bandwidth availability with HDSM. Remotely connect to multiple recorders to view live and recorded surveillance footage over the local area network, over a low bandwidth wide area network connection. Exported video can be managed via the Avigilon Control Center Player—a powerful playback application with all the tools required for analyzing and reviewing captured HD surveillance footage. Quickly and accurately navigate through large amounts of recorded high-defi nition video with camera-specific event logs. Allows the creation of complete end-to-end workfl ows for the monitoring, assignment, and acknowledgement of alarms. Link HD surveillance footage (viewed instantly) with transaction data to address compliance requirements and reduce shrinkage and theft. Exception fi ltering and reporting allows the triggering of events when transactions match specified criteria. 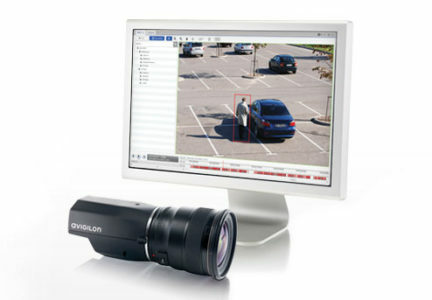 Ensures that all Avigilon cameras, regardless of resolution, are always configured to collect the best possible image over a wide range of lighting conditions. Configure multiple independent camera specific motiondetection zones for pre or post motion triggered recording. 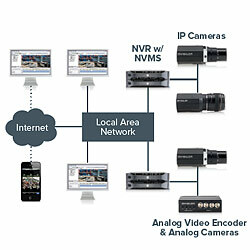 Unique plug-and-play capabilities for NVRs and cameras automatically identify themselves on the network, without manual configuration or searching – eliminating complex network configuration. Detailed logs of storage, network, and overall system status to ensure the highest possible system uptime for critica lapplications. The ACC Mobile application lets security professionals connect to the Avigilon Control Centre software over any IP wireless network using Apple or Android mobile devices. View live and recorded HD surveillance video from any location with a wireless connection and shorten response times even when you’re in the field. 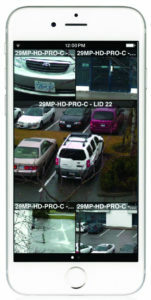 Leveraging Avigilon’s High Definition Stream Management (HDSM) technology, ACC Mobile is designed to efficiently support high megapixel images and detail of up to 29 MP over low bandwidth connections. Through the Avigilon Control Center Gateway, ACC Mobile can easily connect to an unlimited number of servers and cameras expanding access to video surveillance data for greater coverage and remote monitoring.